When the RAV4 first arrived in the US, it birthed the compact crossover segment, and the all-new 2019 Toyota RAV4 promises to reinvent the segment yet again. The muscular new design hints at the RAV4’s modern capability, powertrain performance, and high-tech features. With Toyota Safety Sense (TSS 2.0), you always know Toyota is keeping an eye out for trouble. 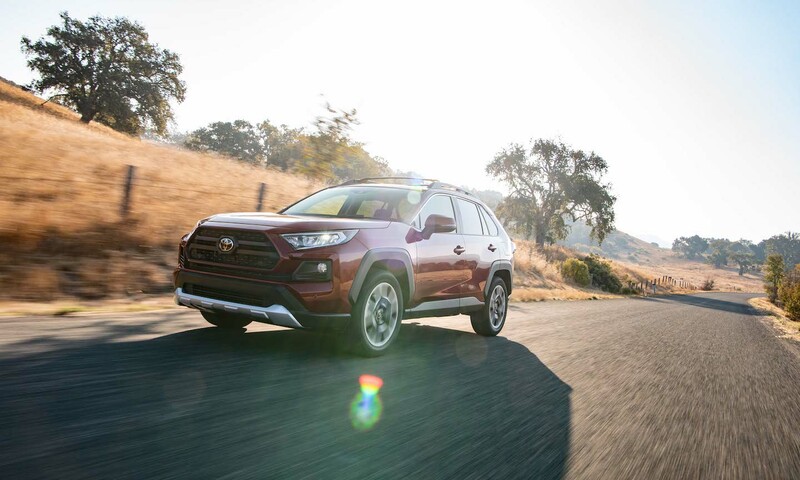 Whether you need to tackle urban adventures or explore a mountain, the 2019 RAV4 is prepared for the trip. Anyone seeking versatility in a vehicle. The RAV4 has plenty of space for hauling gear or getting the family to school on time, but it also features astonishing capability in a size that’s easy to navigate on tight city streets. Power and efficiency go hand in hand, and the new RAV4 optimizes fuel consumption while still offering the ability to tow. 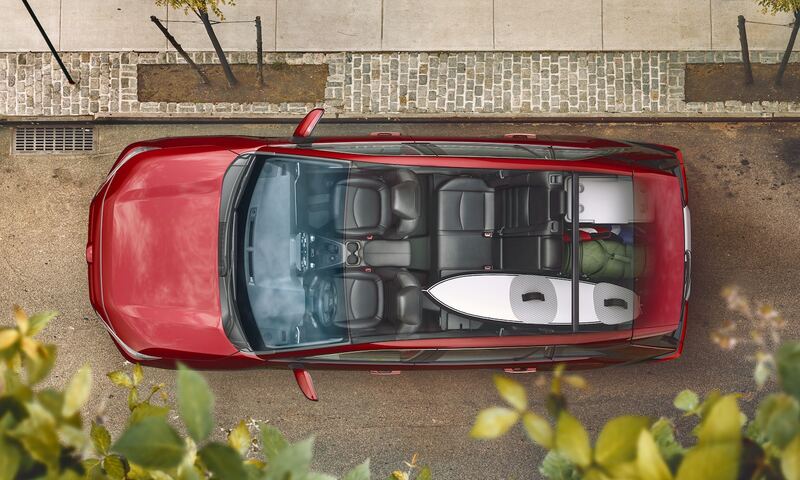 Wherever you’re going, the all-new RAV4 can get you there. Equipped with a new powertrain, the RAV4 has increased its engine performance, while decreasing its fuel needs. The Dynamic Force 2.5-liter 4-cylinder engine produces a respectable 203 horsepower. Also available, the RAV4 Hybrid bumps that power production to 219 horsepower. The purely gasoline-powered variant gets the new Direct Shift-8AT transmission, which helps get the most out of that 4-cylinder engine. An Electronically-Controlled Continuously-Variable Transmission (ECVT) is paired with the RAV4 Hybrid, ensuring optimal efficiency at all times. Choose between Eco, Normal, and Sport driving modes to always get the most out of the powertrain and drivetrain in the new RAV4. 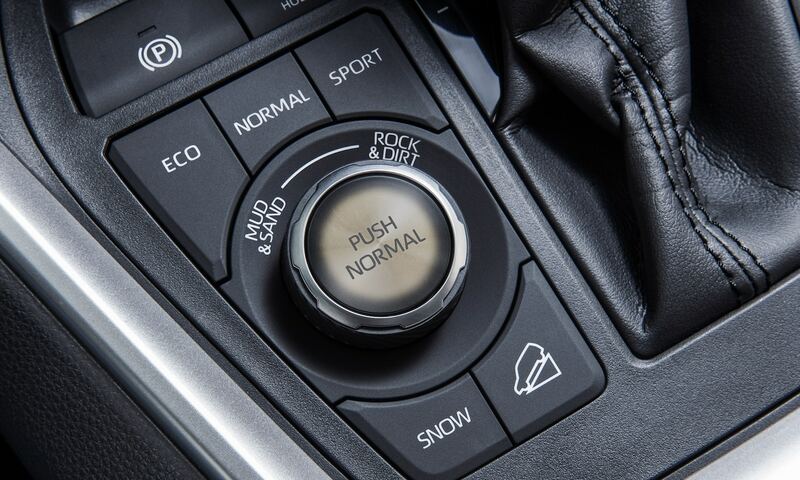 Each mode gives you the ability to choose the acceleration, fuel efficiency, and power that fits your needs all with the press of a button (pictured below). Dynamic Torque Vectoring All-Wheel-Drive with Rear Driveline Disconnect further enhances that versatility. With the ability to send the power to the wheels that make the most use of it or to only the front wheels for additional fuel efficiency, the all-wheel-drive RAV4 can offer a truly customizable ride for any situation. Stay connected whether you’re hundreds of miles from home or just taking a trip to the store. The RAV4’s Entune ™ 3.0 multimedia system features an available 8-inch touch screen with Bluetooth® connectivity, Apple CarPlay®, USB Ports, and unbeatable sound through the available JBL® audio system with Clari-Fi™. An available wireless charger also keeps your smartphone powered up without a tangle of wires. Camping out is more comfortable than ever with the RAV4, thanks to a 12V/120W outlet. 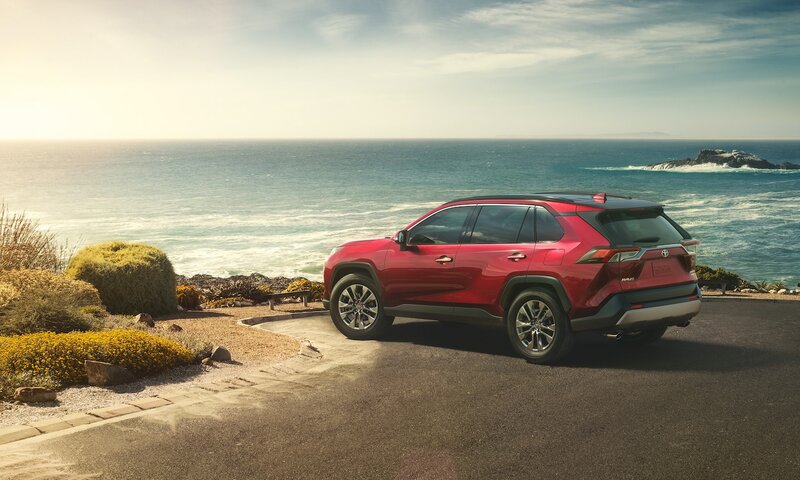 With plenty of room for the family, it’s important to have a vehicle that’s as safe as it is versatile, which is why Toyota included a suite of safety features to protect you and your loved ones, no matter where your new RAV4 takes you. Features like Pre-Collision System with Pedestrian Detection (PCS w/PD), Lane Tracing Assist (LTA), Road Sign Assist (RSA), Lane Departure Alert with Steering Assist (LDA w/SA), and Full-Speed Range Dynamic Radar Cruise Control (DRCC) all help prevent accidents and help lessen your risk on the road. If you’re looking for something that still has the sporty spirit of Japanese driving, check out the Toyota Camry. This sedan has changed what we’ve come to expect from family vehicles, bringing more power and better handling to the segment. If you’re looking for something to help you haul more cargo, look no further than the Toyota Tundra. This powerhouse is packed with features that make work feel more like pleasure.